It was so bitterly cold during a winter snap in January that the hoar frost that had settled in the area never once thawed and indeed built up over a three day period. During the evening I took some photographs outside of Loch Luichart and witnessed some very intense earth shadow shortly after sunset. 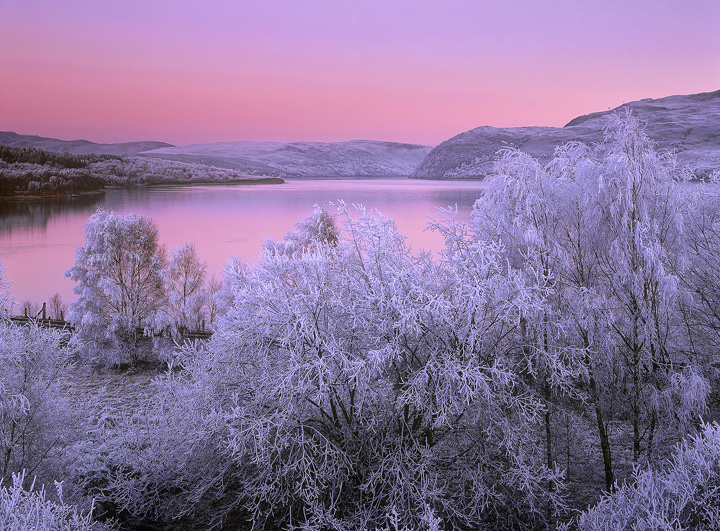 The reflection of pink on the water together with the deeper blues and indigo of twilight reflecting on the frosted foreground made for a memorable view and a memorable shot.